The UK’s largest gathering of youth theatres. Rothes Halls and Falkland Estate, Fife. 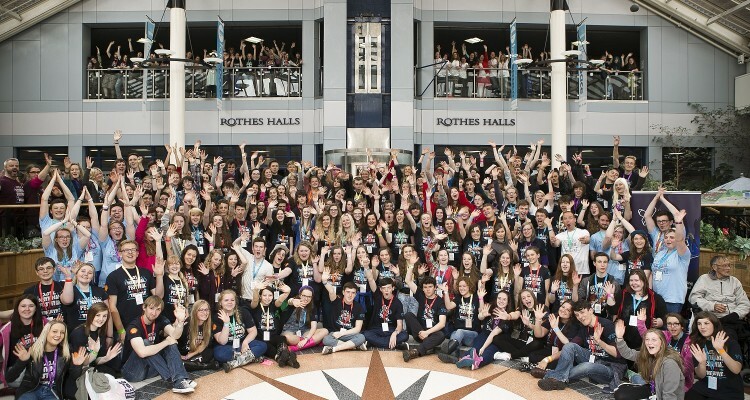 The largest annual gathering of youth theatres in the UK. Each year Scotland’s National Festival of Youth Theatre (NFYT) creates an explosion of young creative talent. It is the largest gathering of youth theatres in the UK and enables young people to come together, discover and celebrate a shared passion, offering them the opportunity to develop as artists, audience members and creative thinkers. In 2015 the festival will welcome youth theatre groups from across Scotland and further afield. The event will include six programmed shows, two scratch performances and a special short performance created by the Fife schools NFYT outreach project. The weekend will also include an evening open-mic performance café, artistic workshops, a final night ceilidh and of course, festival camping! Your youth theatre group doesn’t have to perform in order to take part. NFYT always welcomes non-performing groups and public audiences who choose to enjoy what festival has to offer without the pressure of staging a show.